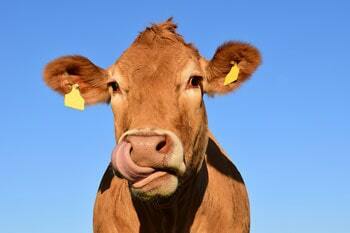 “Beef” – Maybe It’s NOT What’s for Dinner? There’s nothing quite like a good ol’ American meal of meat and potatoes! However, new research and studies are showing that, while delicious, your juicy steak may be cutting significant years off of your life. 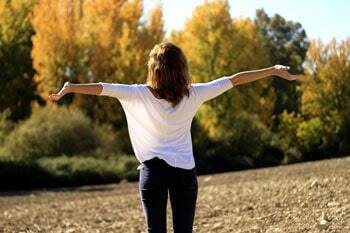 When it comes to your overall health, what you put into your body is as important as the amount of activity it gets. So let’s get real for a sec – and talk about how much red meat you should really be eating. 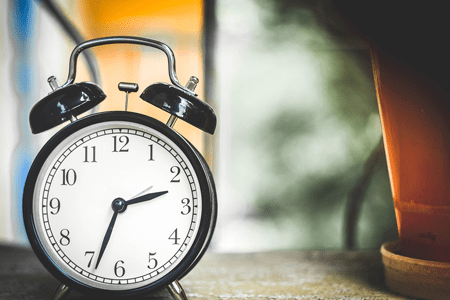 Can 30 Minutes a Day Keep the Pharmacist Away? 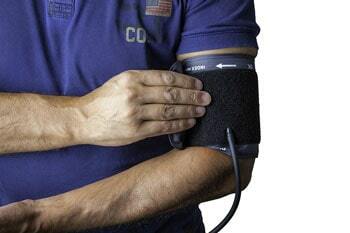 According to the CDC, 75 million Americans have high blood pressure. That’s one in three, so chances are you know someone suffering from what the American Heart Association calls “the silent killer”. Most people manage their high blood pressure by taking a pill every day, but what if there was a better way to maintain healthy blood pressure. When it comes to being healthy, you might immediately think about your weight and exercise routine. But a large part of being healthy is ensuring our bodies are able to perform necessary functions effectively and efficiently. This includes things we usually don’t think about until there’s a problem, like your blood pressure. You probably hear people talk about weight loss and high cholesterol all the time, but did you know they are two sides of the same coin? Knowing your cholesterol facts and the role your weight plays can help keep you be happy and healthy for longer. 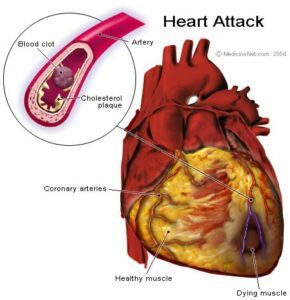 The word cholesterol strikes fear into the hearts of many, but it helps if you know your cholesterol facts. Not all cholesterol is bad, in fact, good cholesterol is healthy for your body and provides many benefits. Oops they did it again! Bowflex released something new and awesome! 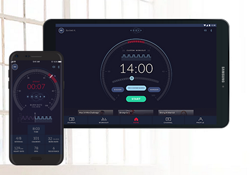 Bowflex recently released a new “Max” Intelligence app to serve as your personal concierge of fitness! 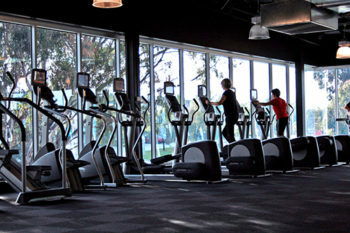 It is featured on the new M6 and M8 Max Trainer machines. This artificial intelligence monitors your fitness progress and tailors your workout experience each and every day. It’s like having a personal trainer right there with you, every time you step on your machine. Can a Simple Shift in Your Meal Times Help You Lose Weight? This is the idea behind intermittent fasting and science is backing it up. Keep reading to learn more and see if intermittent fasting is right for you. Most of us treat the cold as an inconvenience that we must conquer rather than embrace….coats, scarves, sweaters, heated blankets, seat warmers and steamy hot showers. Everyday approaches to keep coldness at bay. But what if the cold is actually useful? What if instead of protecting ourselves from chilly temperatures we should be wrapping ourselves in the cold’s frigid benefits? Wim Hof, also known as the “Iceman”, has changed his life and his body thanks to the cold. It all began when he was just 17 years old and took in a dip in an icy pool of water. The effects of that experience changed his views on how both his mind and body functioned, and that icy dip became a normal part of his regular routine. Now 59 years old, Wim Hof holds 21 Guinness World Records and has racked up some astounding achievements. For instance, he ran a half marathon above the Arctic Circle, barefoot and wearing only shorts. He also climbed to the top of Mount Kilimanjaro in a swimsuit and can swim underneath ice for 66 meters. These are things the rest of us shiver just to think about, but Hof claims that cold exposure is behind his ability to do these things. Get Your Exercise With Less Scheduling! Unfortunately, many of us are not moving near as much as we should in an effort to maintain our fitness. Whether you are already moving and shaking on your fitness journey…or just setting out on the path to your best you…there are recommendations to help guide you along the way. The government recently released new physical activity recommendations, so there are some updated guidelines to follow to keep your journey on track. Keep reading to find out how much you need to be getting up and moving, and just how to go about making it happen. Can You Pass This Simple Fitness Test? What if a simple fitness test could give you a glimpse into your future health outlook? We are constantly being bombarded with information about what we need to do to stay healthy and how much we need to do it. But even if you do all of the things, the question remains … how do you know if you’re actually in good enough physical shape for the long haul? Read below for a simple test that can help you unlock this vital knowledge. The top fitness equipment brands are rolling out some exciting new models and new elliptical updates to take your fitness to the next level. At times, these new options can be a bit overwhelming, so we have put together this guide to all of the best new options on the market. Use this article to find the perfect elliptical to help you hit your fitness goals this season! In 2015, Sheryl Sandberg, COO of Facebook, suffered the loss of her husband, Dave Goldberg, who was killed in a tragic treadmill accident. Accidents can and do happen, but if you prepare yourself properly you can use exercise equipment to safely get a great workout. 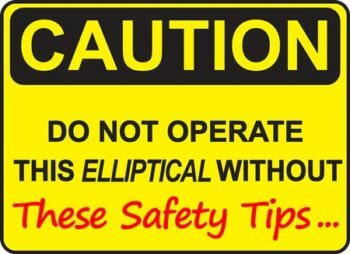 Whether you are new to the elliptical or consider yourself a pro, safety is extremely important. Just because you’ve used an elliptical before doesn’t mean you can get lazy in this department. Home exercise equipment is a heavy-duty piece of machinery and things can go wrong in the blink of an eye.